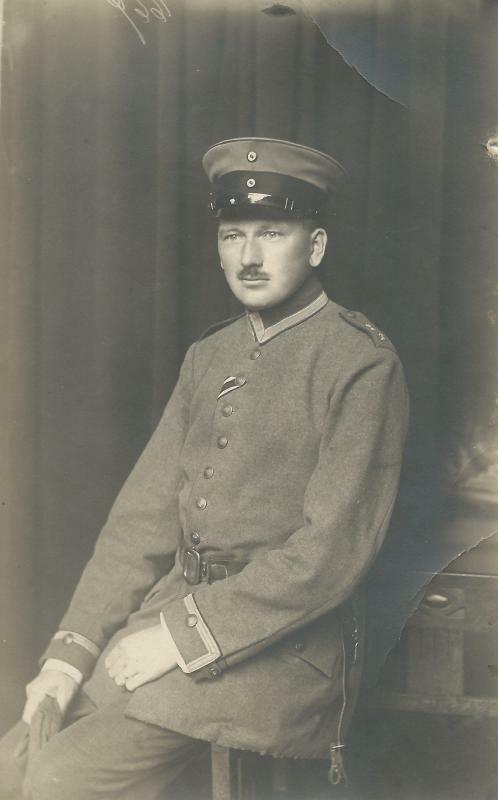 A pre-war rekrutenzeit photo of Kgl. Sächs. 1. 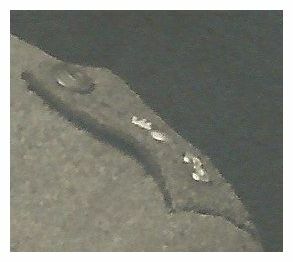 Feld-Artillerie-Regiment Nr.12 with dunkelblau; the regimental cypher is easily seen under magnification. 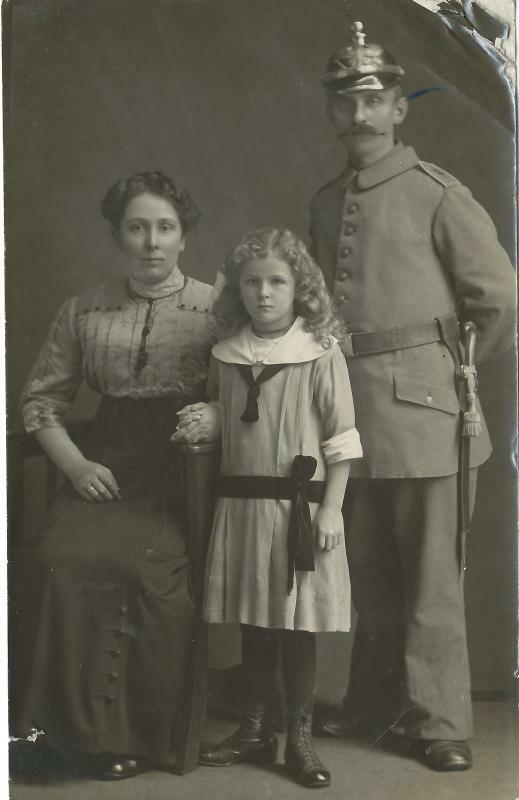 Great Sachsen pickelhaube. Anyone know what the white duty fatigue uniform was called? 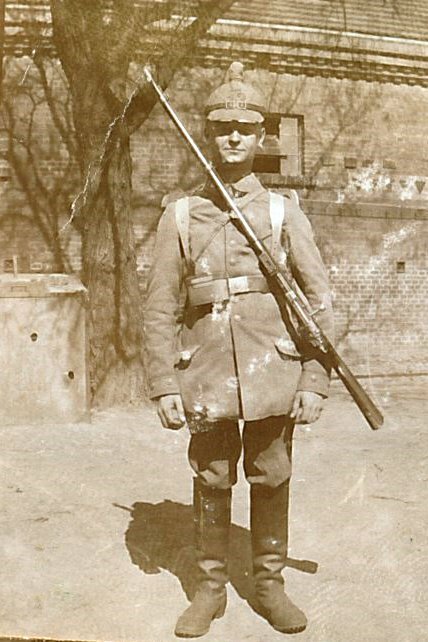 An Unteroffizier from 1.Thüringisches Feld-Artillerie-Regiment Nr.19; feldgrau shoulder strap shows bomb and number. Anyone able to read the name? 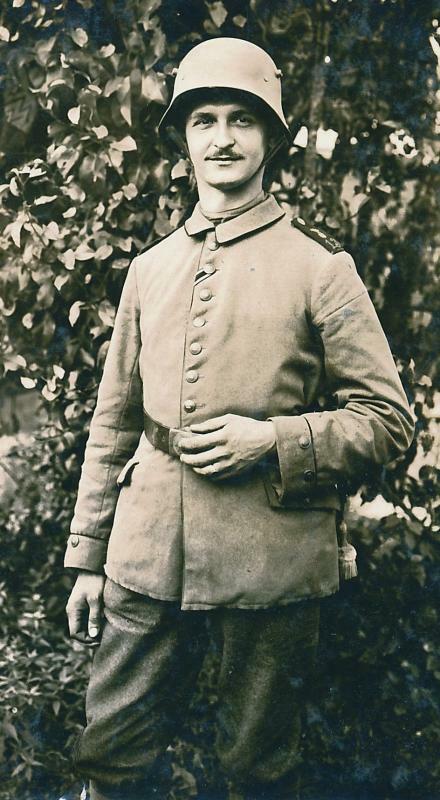 Edited to add update from Chip: "I think the name is Kurt Felzer and he is from the 2.Sächsisches Fußartillerie Rgt. Nr. 19. 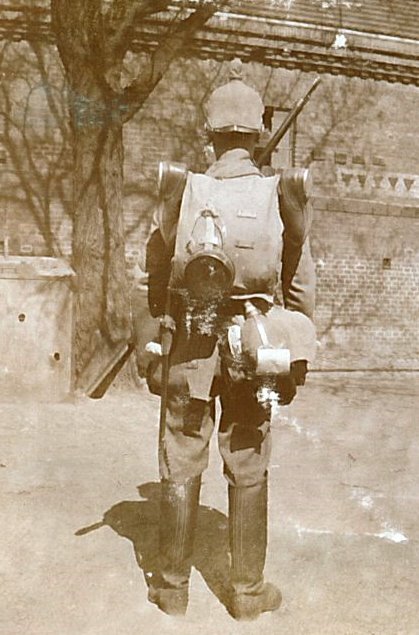 Notice the Saxon shaped shoulder straps." I believe the white uniform shown here was called "Drillich" and was called that in white and grey/green colors into WW II . 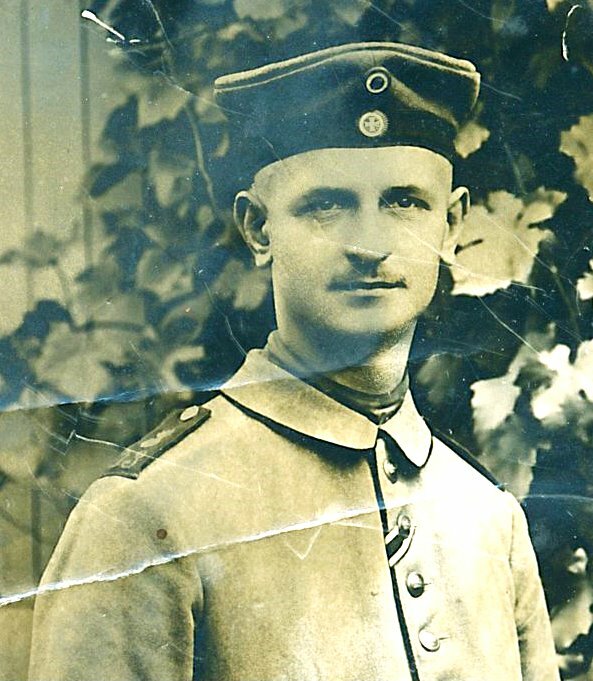 Luftwaffe ground crews wore black. 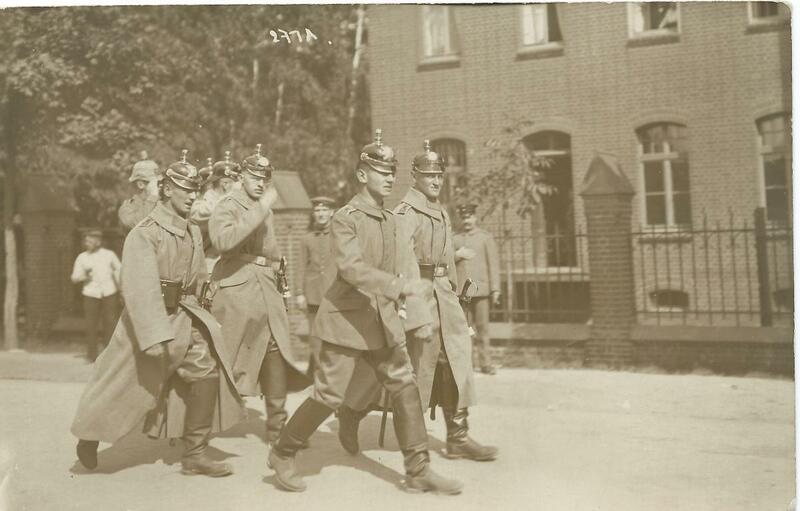 Thanks Bernhard - that makes sense; I had seen them called "drill uniforms" somewhere, but couldn't remember. Here is my grandpa (sitting on the chair), serving with the FAR43. Note the blue shoulder strap pipings for the VII. 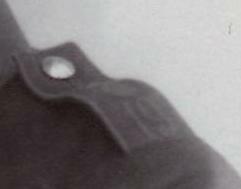 army corps and the telegraph buckle. 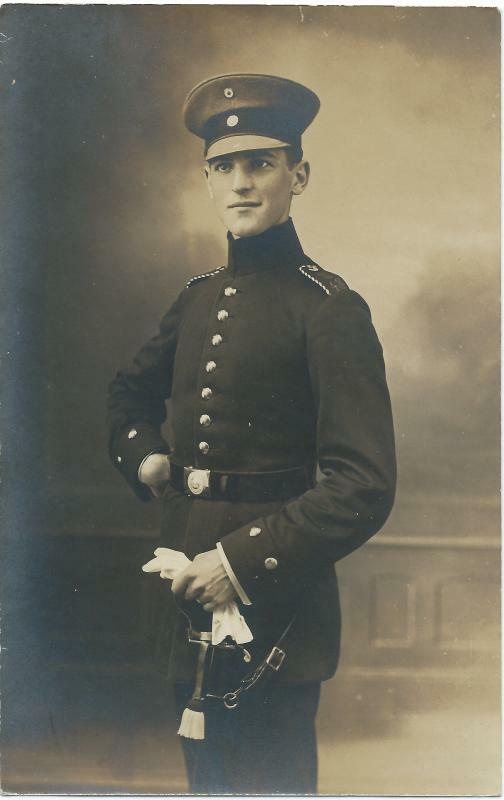 By the date of the photo he was 19 years. 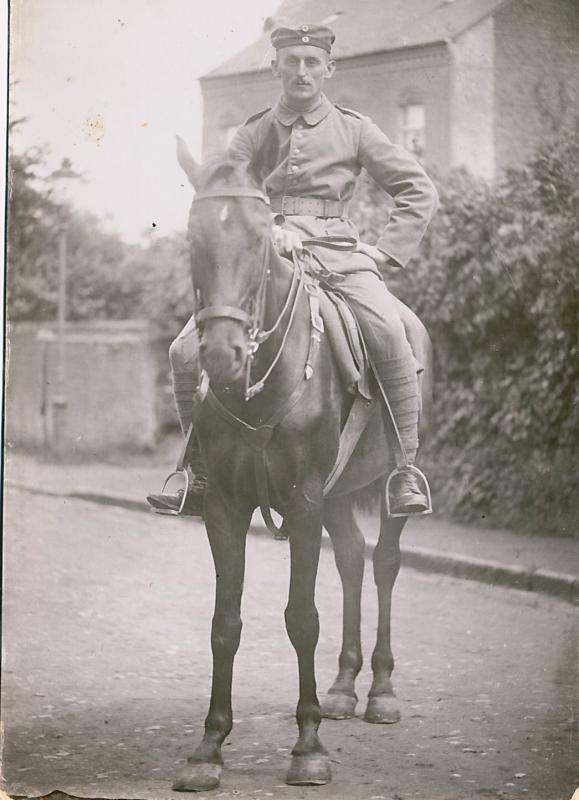 Born in juin 1898, he joined the army in november 1916, earned the EKII in november 1917 for the battles at the Chemin des dames and became a Gefreiter in july 1918, so the photo must have been taken between november 1917 and july 1918. 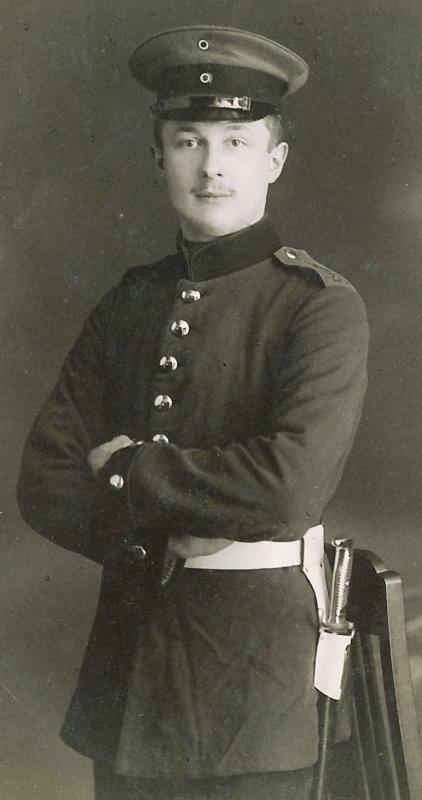 The other soldier is unknown. 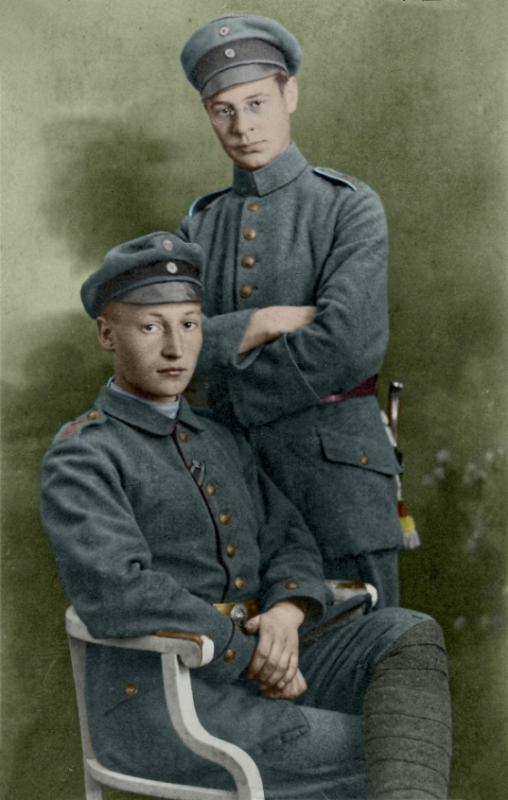 it's a good photo of a what I believe to be an Offizier-Stellvertreter in feldgrau with a metal number 3 on shoulder strap; EK2 ribbon. 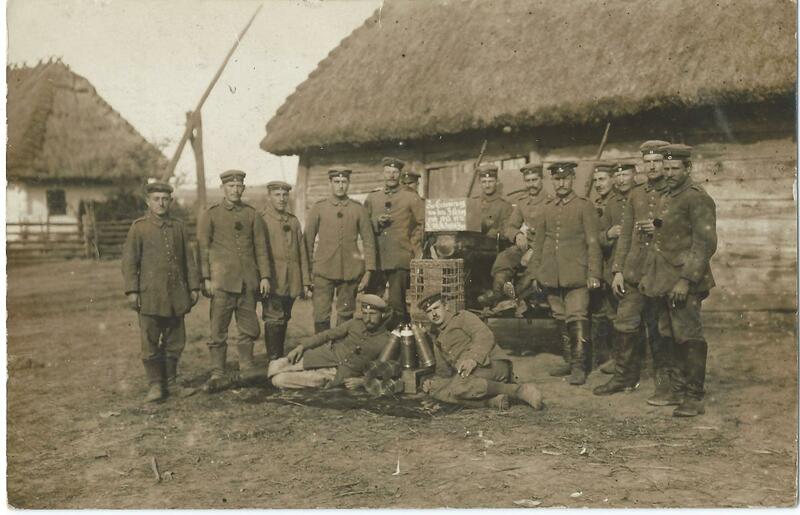 Here's a Bavarian artillery crew sitting on a 7.7 cm Feldkanone C/96 alter/Art (FK 96 a/A) of the Kgl. Bayer. 10. 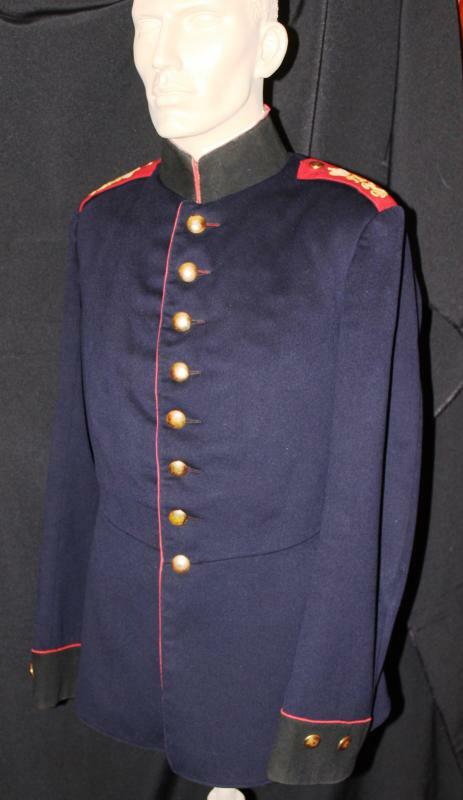 Feldartillerie-Regiment. They have "10" on their dunkelblau shoulder straps, but without a flaming bomb as usual for Bavarians. I think they are wearing "drillich" trousers. The kanonier at the top also has the Artillerie schützenschnur (artillery shell on the cord end) and the signaller's arm badge. 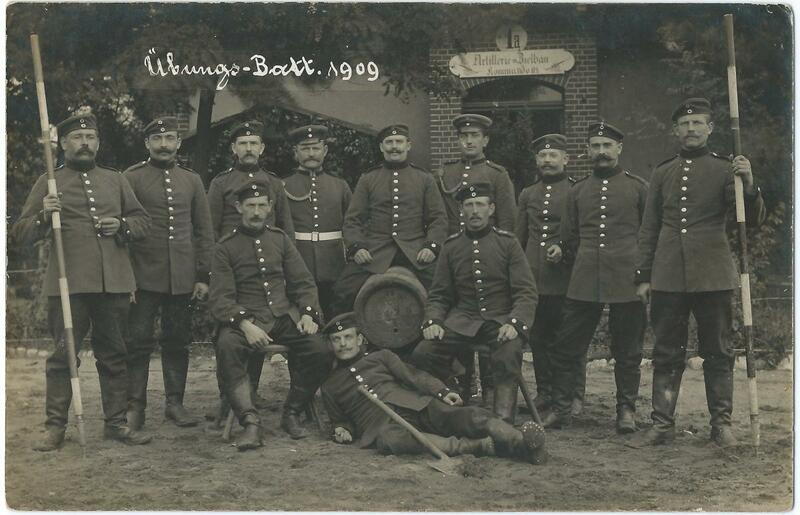 I find interesting the white belt with probably a Kartusche in back worn by the Unteroffizier on the left. 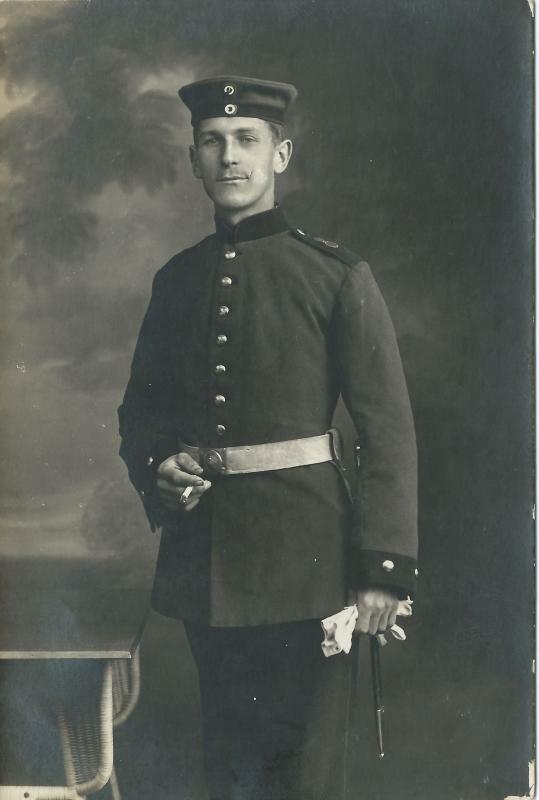 Trousers certainly look like the typical "Drillich" trousers worn for training in the field, K.P. duty and similar. Oftentimes together with short jackets of same material. Interesting pictures. Thanks for sharing them. Nice tunic, dante. 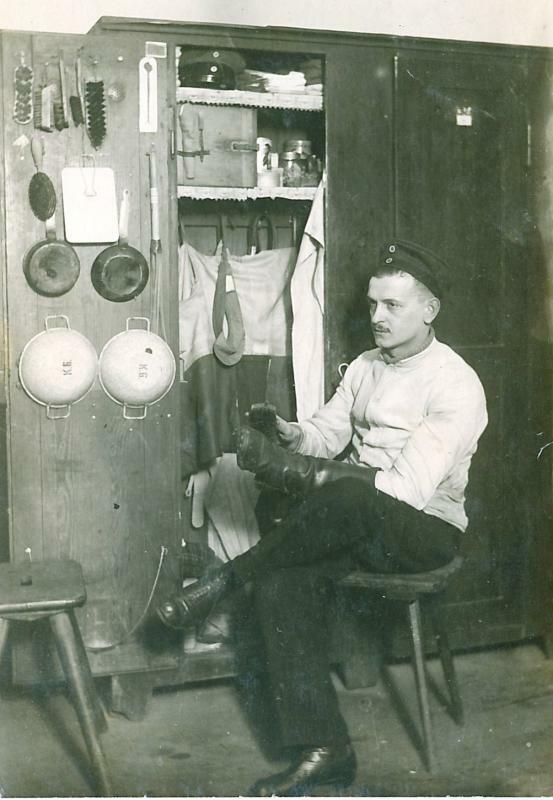 And I really like the photo of the guy at his locker...(Chris and Hardy will enjoy seeing a gunner polishing his boots). Can anyone identify the model/type of sword he's wearing? 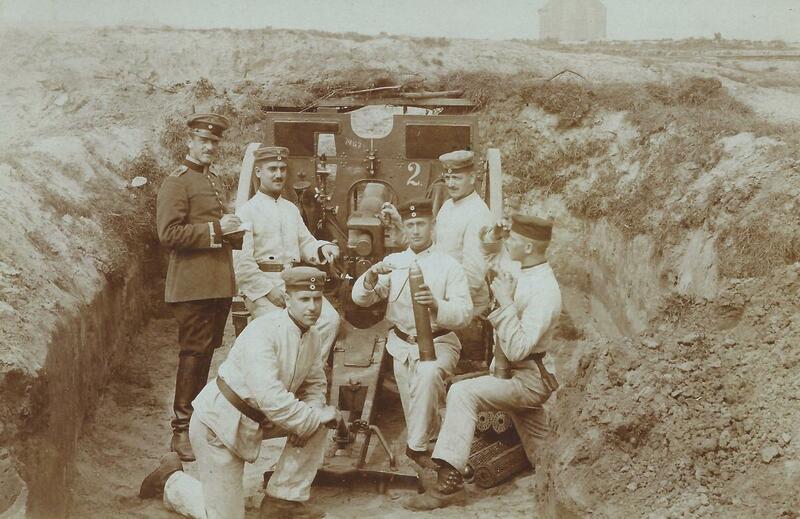 A good look at the dunkelblau of the 1.Thüringisches Feld-Artillerie-Regiment Nr.19. 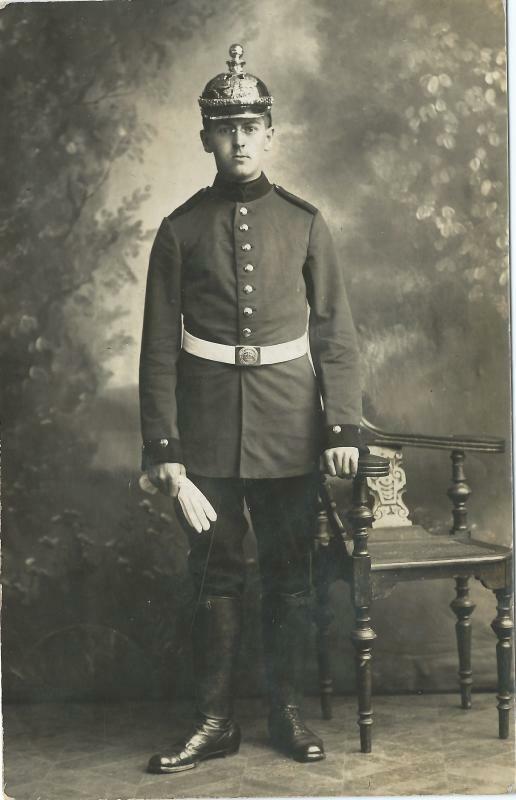 Can't see the shoulder strap details, but the black collar, Swedish cuffs, and the dark color of the shoulder straps suggesting the red for FAR 19, along with the regimental stempel and Erfurt postmark (date 31 May 1915) on the back of the postcard all point to FAR 19. 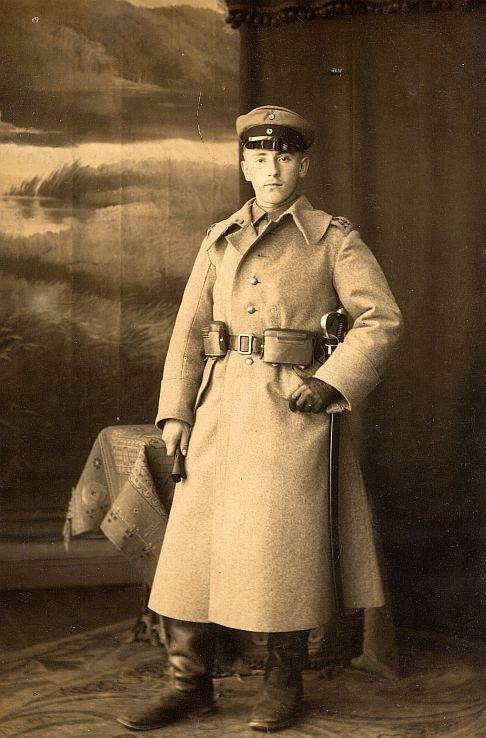 Some feldgrau...taken probably in 1916 (the little sign says Zur Erinnerung an den Feldzug 1914 1915 1916). 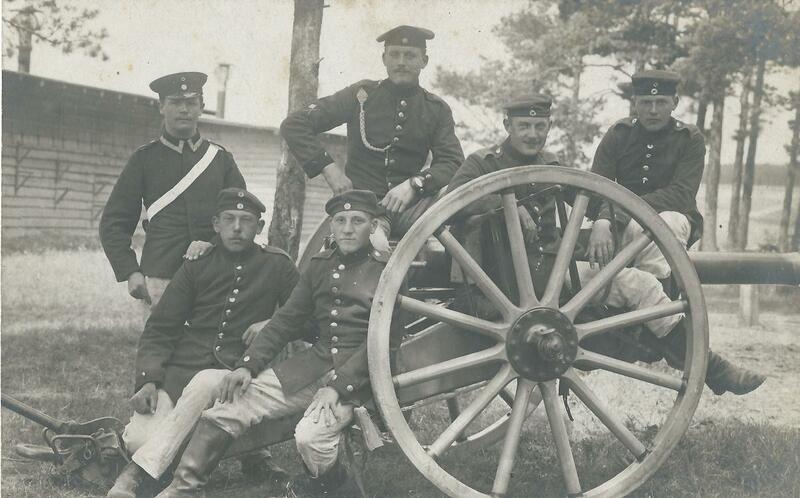 They are around the carriage of a 10.5 cm leichte Feldhaubitze without the gun tube. Good shot of 10.5 cm shells. Some big Saxon boys of the Kgl.Sächs. 4. 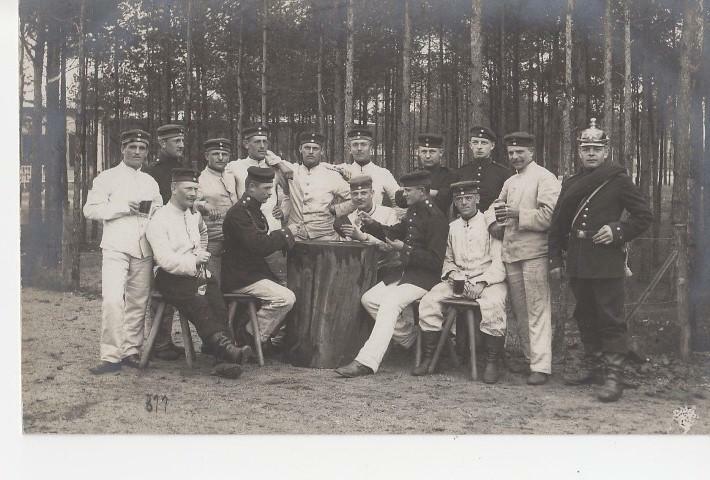 Feld-Artillerie-Regiment Nr.48. 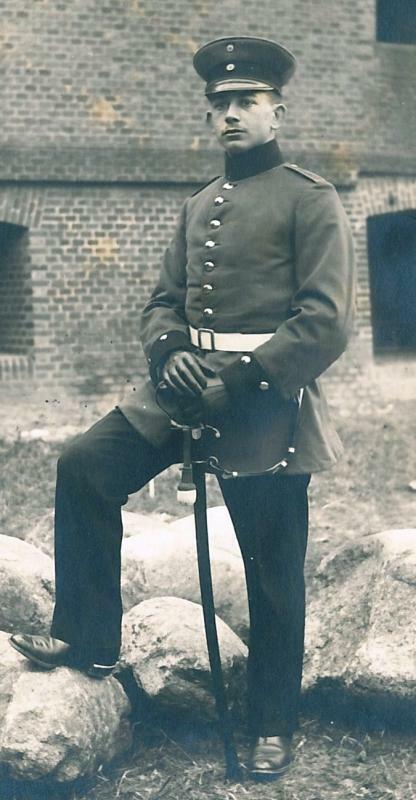 The guy in the background with the pickelhaube cover is from Kgl. Sächs. 6. 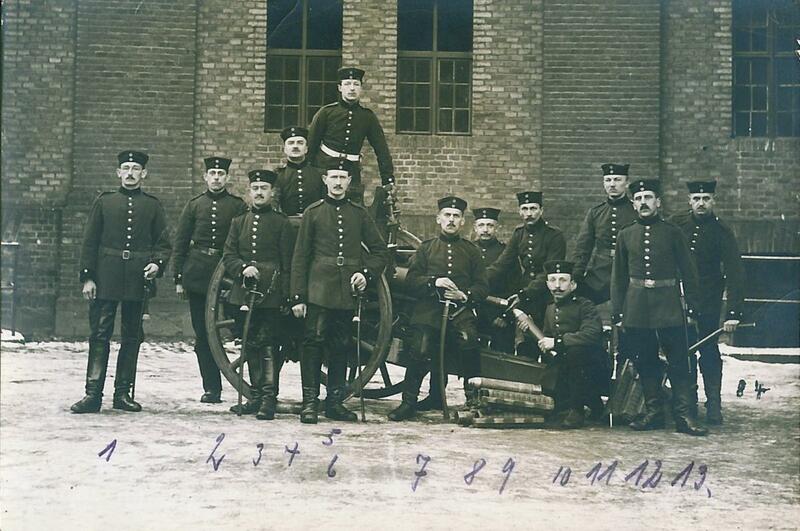 Feld-Artillerie-Regiment Nr.68. 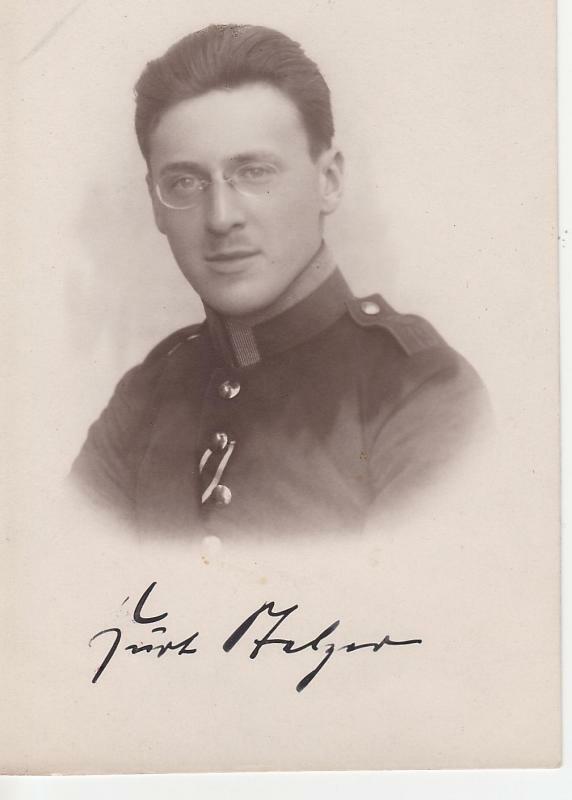 The card was sent from Jüterbog Altes Lager; so, like the Badener in another thread, attending a "lehrgang." Interesting picture # 19. The leather inserts of their breeches show very well. 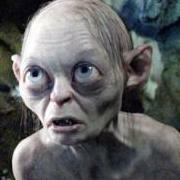 I for one am not tired to see more pictures. Your comment on the leather inserts is enough to convince me... I never noticed that detail before! I've already learned a couple things I hadn't known before by posting my own photos. Thanks! dante, can you make out what is written on the caisson in the center photo? Thanks, dante. A lot is "readable"... I just have no clue what it means... 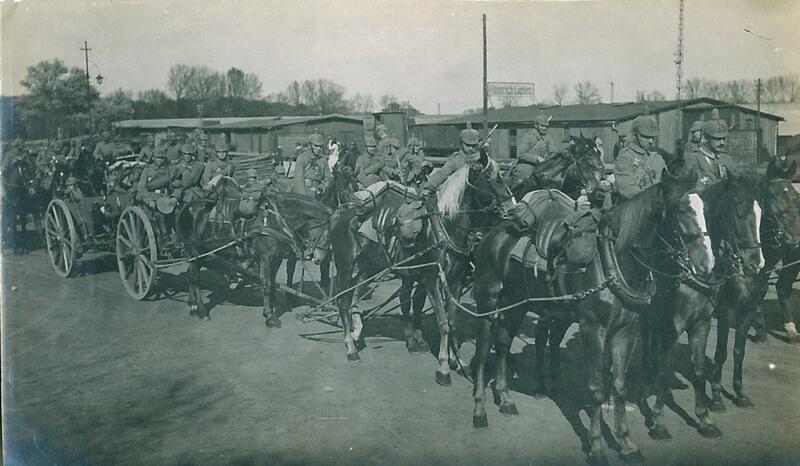 I've seen unit and gun numbers chalked on the guns, but first time seeing something that clearly on a caisson.